The University of Georgia College of Engineering will celebrate National Engineers Week, Feb. 18 - 25, with a series of special events, seminars and competitions. The theme of the nationwide celebration is "Your Knowledge. Their Future." Keynote Speaker: Niamh Hunt, General Manager, Janssen Pharmaceuticals, Inc.
► Students must register for the banquet at this link. 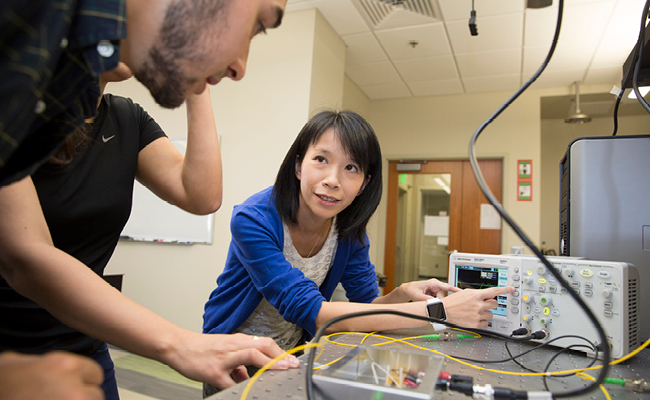 The UGA College of Engineering 2019 Research Showcase will feature displays on cutting-edge research being conducted by our graduate and undergraduate students. This event is open to the public. The UGA College of Engineering will host students from the Clarke County School District for a morning of fun engineering activities at Stegeman Coliseum led by UGA engineering students. Experience UGA Engineering will be held Feb. 19 - 22 from 8:30 a.m. - 12:15 p.m. each day at Stegeman Coliseum. UGA College of Engineering students interested in volunteering for Experience UGA Engineering should contact Lauren Anglin, Director of Experiential Learning and Outreach at lauren.anglin@uga.edu.